FOR IMMEDIATE RELEASE – LOS ANGELES, March 24th, 2016 — SDI, a leading provider of materials handling systems and technology solutions to the retail, wholesale, fulfillment and e-commerce industries, has combined forces with Swiss systems supplier Ferag AG and together, are installing a very unique solution: JOEY Pouch Sorter. The JOEY Pouch Sorter will transport, sort and incorporate loading stations; generate an intermediate storage buffer area; and create a sorting buffer and packing area, while interconnecting all of these. This versatility stretches across an endless variety of products such as garments, shoes and jewelry, just to name a few. Additionally, JOEY provides the flexibility to design the flow above or around existing processing areas, giving SDI the opportunity to tailor the solution to each individual client. SDI is integrating the Ferag innovation into an existing Distribution Center owned by speciality retail chain Stage Stores, whose headquarters are in Houston, Texas. Equipped with JOEY hanging pouches, the solution is expected to become operational in the autumn of 2016. The installation is specifically aimed at improving the efficiency and speed of picking for the fast-growing E-Commerce Channel that Stage Stores operates. “SDI was meticulous in its all-round evaluation of our conveyor technology’s potential, and examined a number of alternatives before finally deciding in favor of our system,” explained Jürg Möckli, CEO of Swiss company Ferag AG. According to Krish Nathan, CEO of SDI, it was not only exceptionally high flexibility and ease of servicing (the system is almost zero maintenance) that spoke for the solution, but also the high energy efficiency that comes with the drive technology, which is largely gravity-based. “The unique aspect of the solution is the fact that the pouches can be sorted and resorted using sophisticated software algorithms,” Nathan said. 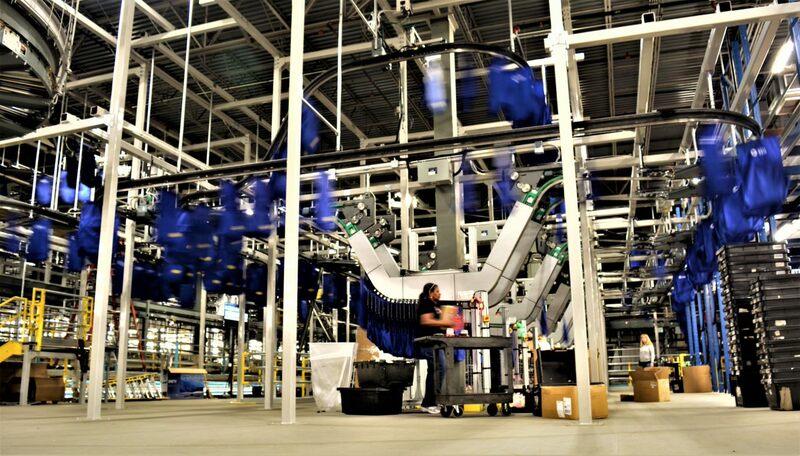 “For example, if the pouches go in randomly in a sequence that best suits picking efficiency, they would be delivered to the packer at an order level. Ferag and SDI are very excited about the JOEY Pouch Sorter solution being installed for Stage Stores. Amongst the items distributed by this famous store chain are shoe and clothing labels like Calvin Klein, Clarks, Dockers, Jockey, Lee, Levis or Ralph Lauren. 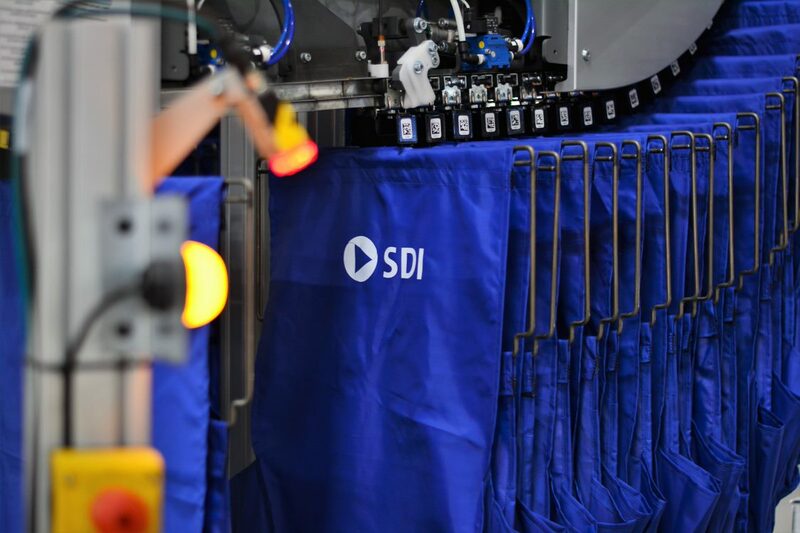 SDI has been offering turnkey materials handling systems and solutions for more than 35 years to brands all over the world. They are specialists in apparel sortation and unit handling, consulting, engineering and design, systems and software integration. SDI integrates various technologies often used in flat unit sortation systems primarily for garment sortation and is the manufacturer of the world’s first-ever, flexible, Bombay-style unit sorter for apparel, SORTRAK®.